Artiste Dentistry LLC - Dr. Tara Moshiri, D.D.S. When you visit our Sterling, VA dental office, your smile is our top priority. Our entire team is dedicated to providing you with the most personalized, high quality, and gentle dental care that you deserve. At Artiste Dentistry, we are not only passionate about creating healthy and beautiful smiles but also about creating a positive dental experience, leading to City Beat News practice recognition for providing outstanding customer experience and honoring us with the Spectrum Award for Excellence in Customer Satisfaction (2016). 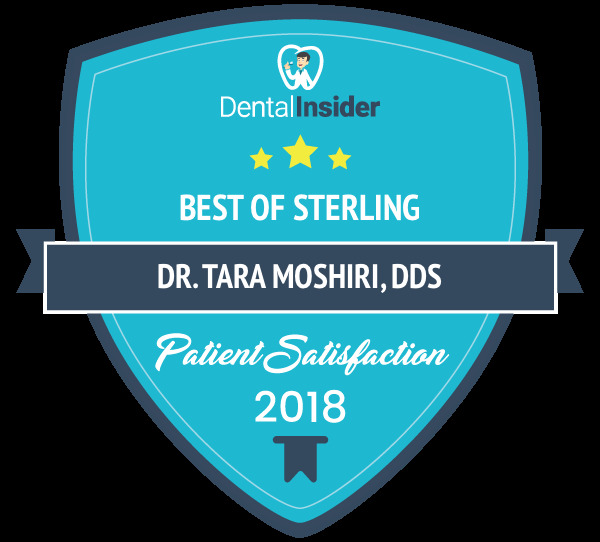 In addition to winning the Spectrum Award, Dr. Tara Moshiri was voted one of America's Top Dentists (2016), a Top Dentist in Sterling (2014-2016), and voted as one of the ”Top 100 General Dentists” by Northern Virginia Magazine (2017). Part of our commitment to serving our patients includes providing information that helps them to make more informed decisions about their oral health needs. We treat each patient as a family member and are proud to make your care personalized and help you achieve your dental goals in the most efficient, cost-effective & timely manner. At Artiste Dentistry we work hard to restore and enhance the natural beauty of your smile with conservative and result driven care using state-of-the-art technology and procedures in a modern, fully digitized office with overhead TVs. Whether your dental needs are a complete exam and cleaning, a full-mouth restoration, or anything in between, we promise to provide you with exceptional care as we enhance the natural beauty of your smile. Our personable services include cosmetic dentistry, dental implants, bonding, veneers, teeth whitening, inlays & onlays, crown & bridge, implant restorations, dentures & partials, root canals, extractions, sleep apnea, snoring oral appliances, guards & more. Regardless of your insurance status, Artiste Dentistry offers exciting affordable VIP in-house discount program for non-insured families, competitive pricing, and extended financing options (DocPay & CareCredit). To learn more about payment and financing options, visit our insurance and financing page. We also offer exciting seasonal offers and new patient promotions. To accommodate your busy schedule we offer late evening & weekend appointments in a calm and relaxing environment. This website is a resource we hope you’ll find both useful and interesting. 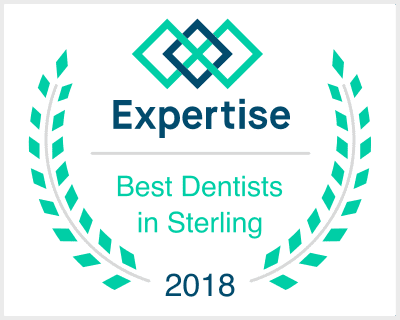 We encourage you to take time to browse through our website to learn more about the Sterling cosmetic dentist, service details, Sterling dental office hours and directions, new patient forms, or visit our patient education videos, which provide valuable information on dental procedures and treatment options. We hope you can find everything you need! Also, be sure to visit our Facebook page- we are very “social” as we give great health tips regularly as well as hold contests and talk about other cool community events. Call our office anytime to discuss your dental needs or request an appointment online. We also offer complimentary consultations, second opinions, and love to give office tours. We look forward to providing you with the personal care you deserve and strive to meet and exceed your expectations! Proudly serving the people of the tri-state area including but not limited to Sterling, Reston, Great Falls, Potomac Falls, Lansdowne, & Ashburn Virginia. Skill and compassion go hand in hand when providing exceptional patient care. As a dental professional, I recognize that my patients are unique individuals who have placed a great deal of trust in me and my team. That is just one reason why I value each and every patient relationship.